When you search “When is the best time to start a business?” on Google, you’ll see countless articles come up telling you “Why now is the best time to start a business.” It’s comforting, motivational and just the kind of confirmation you needed. Business isn’t a joke and it’s not something you can just start with a click of a finger without much consideration, just because the economy is climbing, entrepreneurship is on the decline or because the Internet made it easier for new business owners to find information and advertise. These things might all be true depending on when you read this article, but these are not the only things you need to consider when starting a business. The survival of your business doesn’t just depend on the economy, business trends or new technology. It depends on your particular personal circumstances most of all. Ideally, you’d want to start a business when you’ve got nothing to lose and a lot of time on your hands. For example, when you have suddenly become a billionaire and you can throw a couple million bucks for your business ventures here and there and just see what happens. And if it doesn’t work out? Eh, whatever. You’ve still got $998 million. Wouldn’t that be nice? Unfortunately, not a lot of us has the luxury of treating money like candy, the time to start life-changing ventures whenever we want or the emotional freedom that comes from having the luxury. Instead, we have to consider our options very carefully and ensure that we’re making informed decisions about when to try something new and scary. We have to weigh the pros and cons, and the risk versus reward, and really understand that this could be it. In fact, this is the only way to consider when to start your business. The billionaire above who would just invest in any business for a large sum of money without research is not a great businessperson and wouldn’t be a billionaire for long. So, when is the best time to start a business and what personal circumstances should be taken into account? This is really more common sense than anything, with a big focus on security. The biggest and most important thing to consider before starting a business is whether or not you are able to fund yourself for a potentially long period of time until your business can support you. The time it takes to start making money from your business really depends on your business idea and your skills as an entrepreneur. It can perhaps take one month or two years, or perhaps never. While an “all in” attitude is part of what makes you an aspiring entrepreneur, you won’t be able to even start to work towards your dream if you don’t put in some measures to financially support yourself and the business. Calculate your expected business expenses and increase it by 20% at least, because you’re always going to underestimate expenses. To this figure, add your living expenses. Now annualise it. This is how much money you need to have in your bank account to be able to live and support your business without constantly worrying about money or always ending up with the low-quality versions of things. When you don’t have other priority commitments. What a lot of people can make the mistake of thinking is that running a business is like having a full-time job, except you get to keep all the money that it makes. WRONG! It’s like having a baby to look after 24/7 and even then, you don’t think you’ve done enough or that you have enough time to get to everything. Of course, work-life balance is important when you have your own business, too, but you will struggle to have that until after your business reaches its teenage where it can sort of look after itself or by someone else. So, imagine if you have an actual baby to look after or anything else like university or a full-time job that requires a lot of your time and attention. When you have these life commitments, starting a business might not be the greatest idea until you reduce the number of commitments or the time they require from you. You need to understand just how much of your time your business needs and see if you can manage without burning yourself out. When your family or partner is on board. Having a family or being in a committed relationship can be the best and worst thing when starting a business. It’s the best thing because you have people that love and care about you, and support you a hundred percent. It’s the worst because from the moment you decide to start a business, every single move you make in your business could potentially affect your family or relationship. If your family was a two-income family, then with you starting a business, it will temporarily (and for an unknown period of time) have to survive with just one income. Your kids’ education, sports events, competitions and everything else need to be paid for by your partner or your savings. Before starting a business, it’s important to talk it through with your family and partner, also including your kids, to help them understand how their lives could change and the potential difficulties you could face together. When you don’t have any other upcoming big life-changing events. As mentioned above, starting and running your own business requires a lot of time and focused attention. It is a life-changing and stressful event for you, your family and anyone else directly involved. This means that if you have any other big life-changing events coming up, it might not be the best time to start your business ventures. For example, are you preparing for your wedding or your child’s? Are you going through a divorce? Are you about to have a baby? While managing several big life events is not impossible, it can take a toll on your stress levels and you’re likely to always have to choose between attending to one or the other. Instead, consider your options and see if you can wait until after one life-changing event settles down before starting your business. When you know what kind of business you want to start. Everything in your life could be in the perfect place to start a new business venture, but what good does it do when you don’t actually know what you want to do? Of course, it’s not impossible to start a business without having a great amount of passion or something that you always dreamt of doing. There are plenty of ways to get into a business that seems to have great ROI and success rates, and if you search through “Amazing Business Ideas to Start in 20XX” articles enough, you might end up with something that sounds perfect for you. However, a proper consideration of the kind of business you want to start, why and how, is an essential component of the business preparation stage. 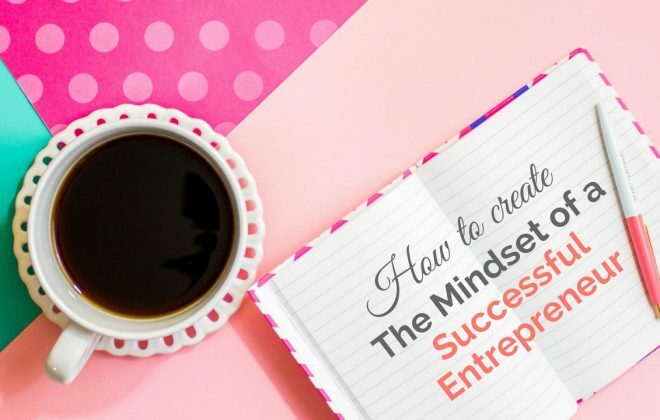 Ideally, you’d want to start a business with a business idea that you believe in and are passionate about, which can push you through all the difficulties that can come with it or in your personal life. Starting a business just because you can and you’re in the right place to do so can work and has worked for many, but the best time to start your business is when you actually want to start a business and have something to start. When you have the “right” reasons to start a business. Following from the above point, consider why you want to start a business. Business ventures come with plenty of heartaches and hardships, and the reasons you enter into them had better be enough to keep you motivated. For example, starting a business just because you hate your current job is not the greatest reason. You could quit your job and get a different one. Also, entering into business because you’re under the false impression that it will be an easy money-maker is not the best reason. After having done all your research and considering your current life circumstances, what motivations and reasons are you left with? Something that can endure all difficulties and the “Am I ready for this challenge?” questions is your best reason to start a business. When you’ve made great professional relationships. Do you have a good relationship with your current/ex employers, colleagues and other suppliers you’ve come in contact with? Even if you never actually need them for your business in the future, keeping a great professional relationship with those around you is an important factor to consider when deciding to start a business. It shows how much you value professional relationships (and therefore the relationship with your customers), and whether or not you’re capable of maintaining them. Whether or not you need them in the future, having your work buddies, especially your current or previous bosses, wish you well is a big bonus. That way, you start off on the right foot with the blessings and good wishes from all your contacts. And even if they can’t provide any direct help, you can always get their ideas on small business decisions or recommended suppliers. What is it Like to Own a Business?